A mum-of-six has been pictured with her huge Paddington collection, worth more than £10,000, as M&S reveal the loveable bear is the star of their highly anticipated 2017 festive ad. 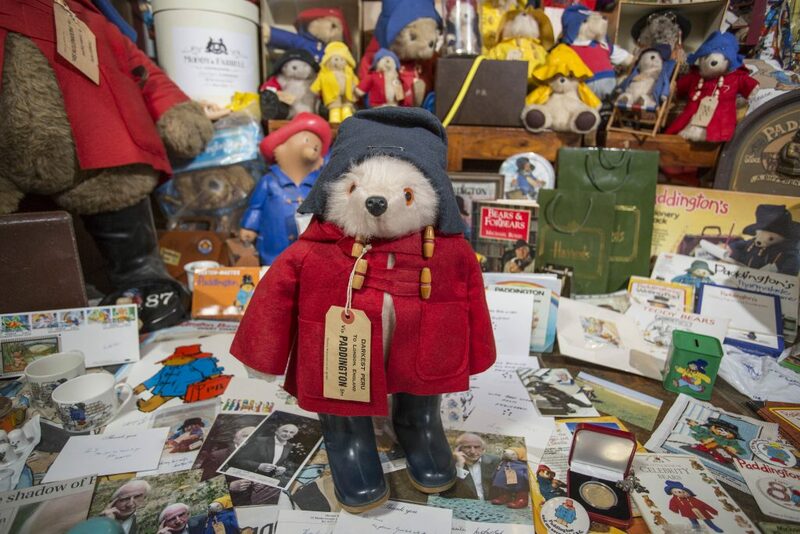 Emma Bending’s house is filled to the brim with Paddington memorabilia and her remarkable collection is proving even more popular following the launch of the new M&S Christmas advert which features the adorable small Peruvian bear. The 90-second ad sees Paddington unwittingly stopping a burglar who later realises the error of his ways and the tearjerker coincides with the release of the second Paddington film on Friday (November 10). Emma, a school attendance officer from Bugbrooke, Northampton, was first introduced to the one of the best loved characters in children’s literature when her grandparents gave her one of the first books at just four-years-old. 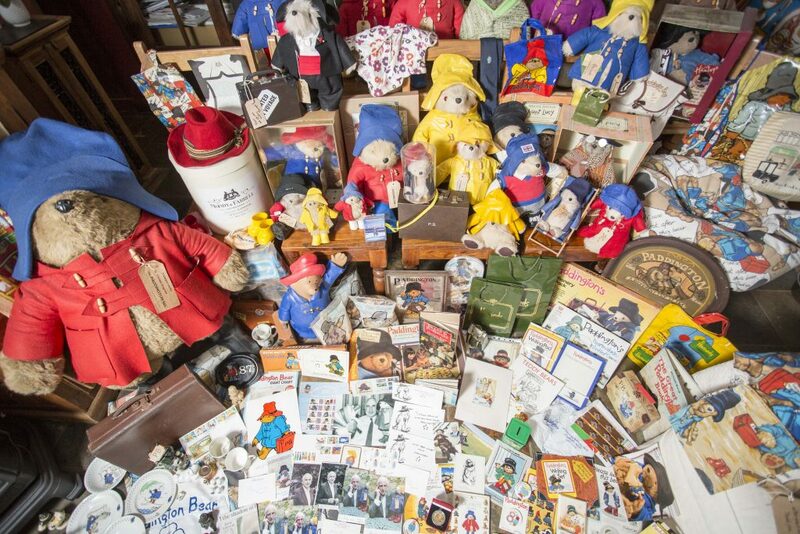 She collected teddies, books and even had a Paddington-themed bedroom but unlike most children whose early toys are given away or lost, the items were carefully stowed away in her parents’ loft. 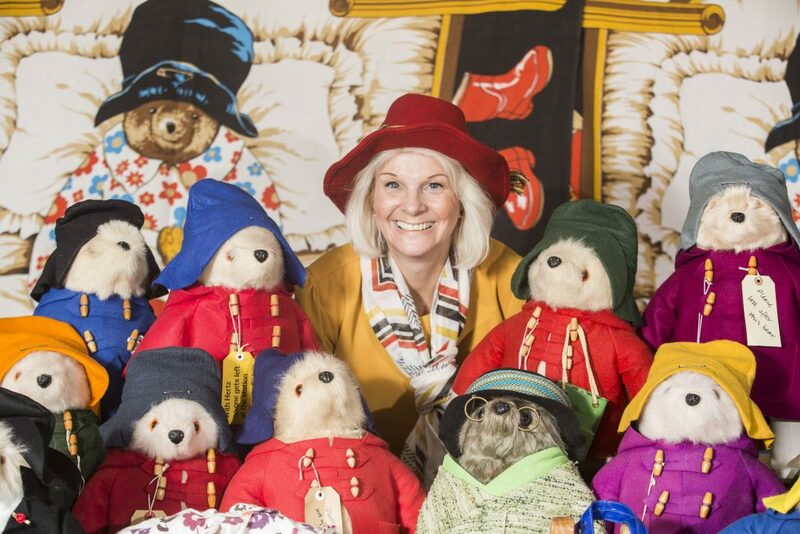 her six kids are some of Paddington’s biggest fans. Emma, 47, has spent the last 15 years building up the bumper collection which features more than 30 stuffed bears and five first edition books worth up to £3,000. Her favourite piece is a simple sketch of the bear by original illustrator Peggy Fortnum. All together she’s got more than 400 items of memorabilia including a lifesize stand-up bear that was originally part of a Harrods shop display and cost £400. She spends much of her spare time repairing old Paddington bear toys that have seen the wear of time and has darned fur, sewed up holes in coats and glued boots to bring bears back to life. 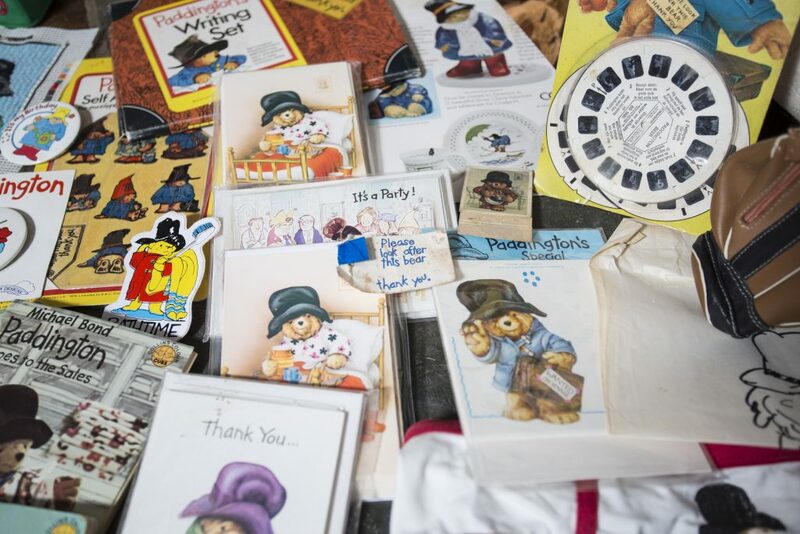 Author, Michael Bond, has signed books and luggage labels for her and she has fans from all over the world who contact her for information and advice on building their own collections. 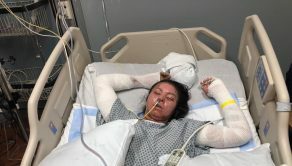 Emma, who is married 48-year-old Michael, a fireman, said: “Paddington is so naughty and mischievous but also so polite and British at the same time. 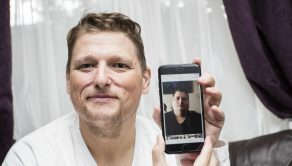 “He’s the perfect character and I’d like to think I’m one of his biggest fans. “I absolutely adore the new advert. I have already seen the second film at the premiere and loved it. It’s better than the first. 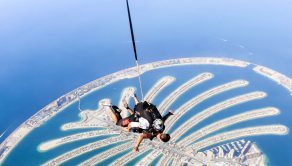 “I will be seeing it again with my family when it opens to the public on Friday. “I was just four when I first fell in love with Paddington with his little blue hat coat, red coat and suitcase. “My grandparents gave me a book called ‘Great Big Paddington Bear’ for my fourth birthday. “I loved reading about the mayhem Paddington caused for the Brown family when he arrived in the UK from Peru. “When I was six I begged my mum and Dad for a real Paddington Bear and on Christmas day he was there under the tree. 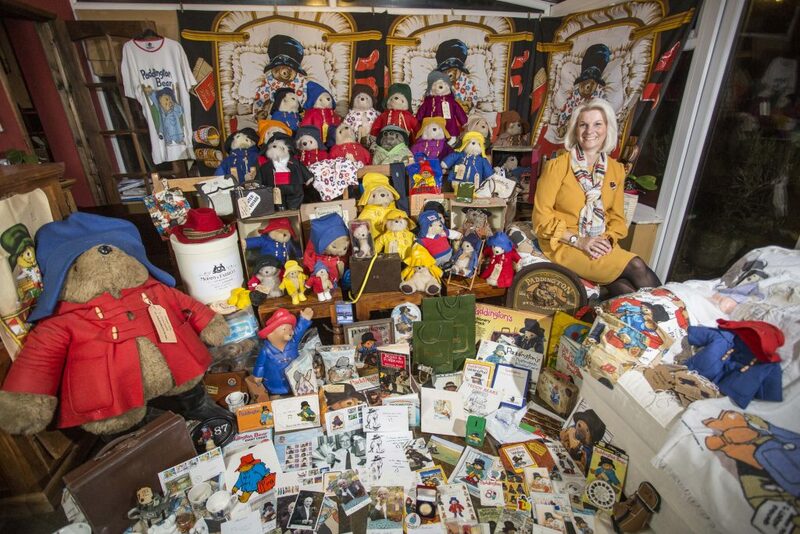 “Over the following years my bedroom turned into a Paddington shrine. “My Dad put up Paddington wallpaper, curtains, and a lampshade – I even had Paddington bedspreads! “It was only when I fell in love with George Michael that my love for Paddington waned a bit and I put away the toys. 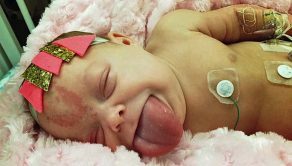 “Once Michael and I had six little ones our house was full to the brim with toys. “One day a repeat of the Paddington TV programme and I said ‘I’ve got one of those! And I had to dig through the boxes in the loft until I had found my original bear. “As soon as I showed him to the kids they all wanted one and that’s how my passion for Paddington came back to life.